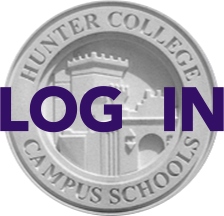 TEDxHunterCCS will be a fast-moving day of dynamic talks and performances by alumni, students, faculty and parents. It is modeled after the world-renowned TED (Technology, Entertainment, Design) conferences, bringing together great minds to share "Ideas Worth Spreading." Monica Raymond HS ’65 on her eleven-year experiment in living a carbon neutral life in Cambridge, MA. Dr. Judy Goldsmith HS ’78/’79 on the role of artificial intelligence in our future. David Crenshaw HS ’81 on "Helping Girls Be Strong through Sports (We don’t do no cheerleading! )” Dana Kaplan HS ’97: "A Call to Action for All of Us: Transforming all of our Futures through a Commitment to Criminal Justice Reform." Serina Chang ES ’09, HS ‘15 & Alison Chang HS ’12: "The Gemini Shortcake Duo Presents the Art of Piano Duo." Dr. Tony Fisher, Faculty: "Why Using Mathematics To Predict The Future Is Futile, And Why We Should Do It Anyway." And much more!